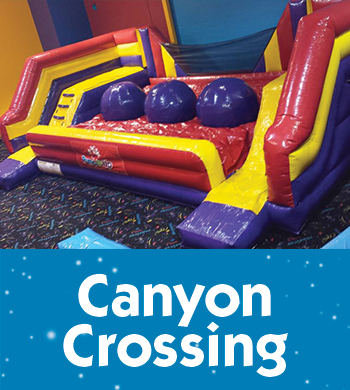 We are adding a Canyon Crossing as our newest inflatable. 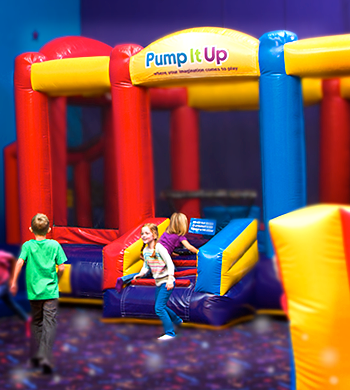 This is considered the most entertaining ride in over 150 Pump It Up's. 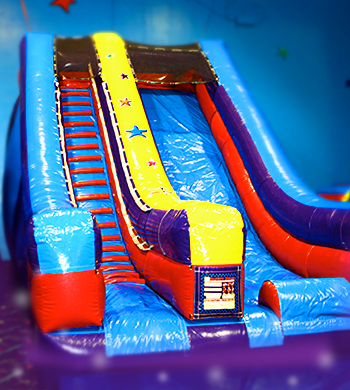 The kids (and adults) love the thrill of leaping safely across inflatable canyon. Our new newest inflatable. The Slippery slope is a great challenge for the kids. They try to place flags as far up the slope as they can. Many will try, but only a select few can make it to the top. 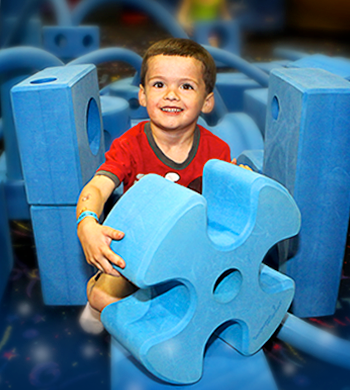 Our Imagination blocks bring a new dimension to a party or playtime. The kids get creative building huge machines, building, their own obstacle courses...etc. 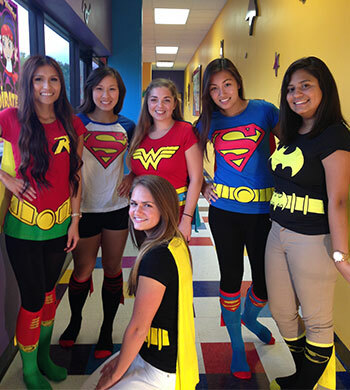 Join our Super Hero Training Camp Team! 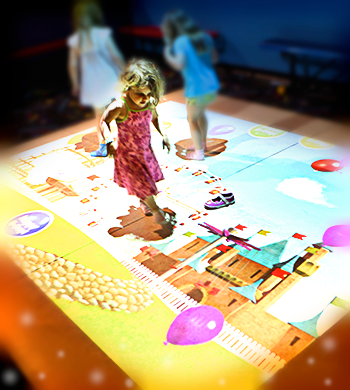 Imagine the fun of adding a Super Hero Adventure package to your Ultimate Party. 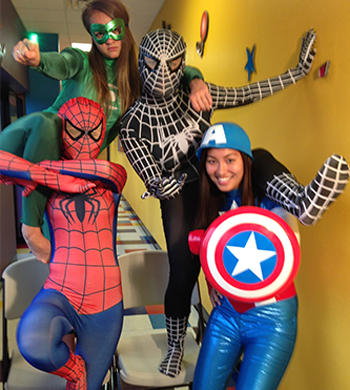 Our Team of Super Hero Trainers are ready to get started. 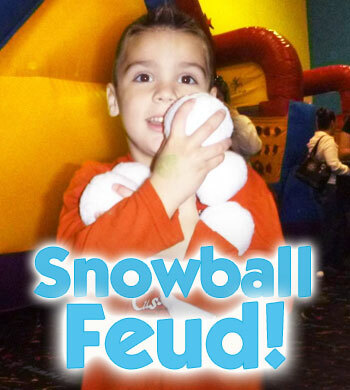 We have added Snowballs to our Frozen Party Bundle or you can add them to any party package. 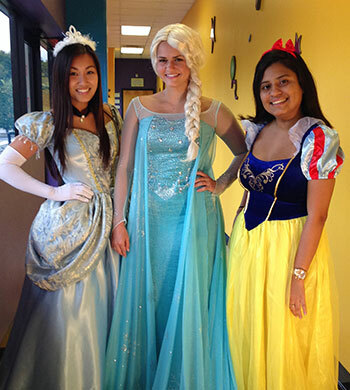 Ask our staff when booking your party. 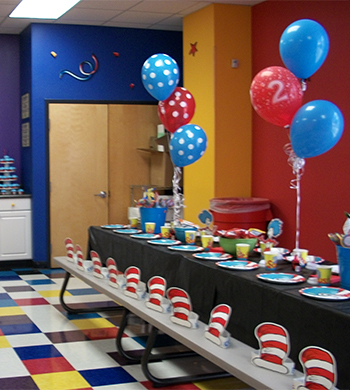 Our Party Rooms can hold up to 90 people per party room. Each room includes 4 tables in 2 rows. 48 kids can be seated while the parents use benches around the periphery. Our rooms have counters and sinks which it it easy to serve food, cake...etc. We also have a table for presents and an inflatable throne for the Bday child. 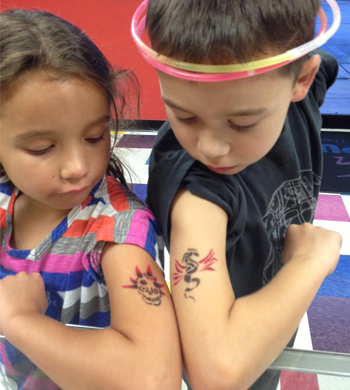 Tattoo's can be purchased Ala Carte' or they are included in our Deluxe Party Packaging. 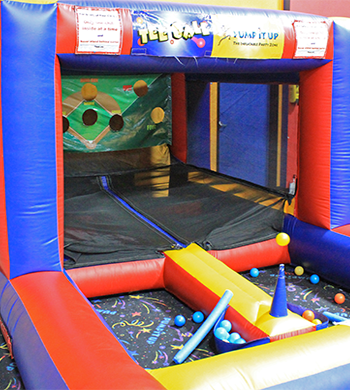 Challenge your child to a race through our obstacle courses. Burn off some energy climbing to the top! And enjoy the slide down! Twice the fun! Race you down! Sports enthusiasts get a kick out of this giant inflatable. Hold a BasketBall shootout, or shoot some hoops or test yourself with Boxing. 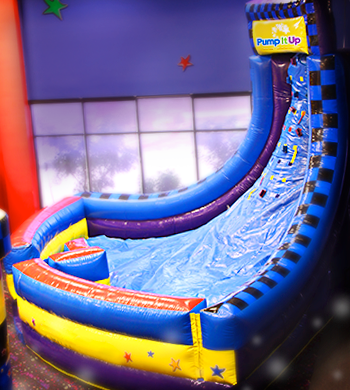 Joust, play dodge ball or jump! 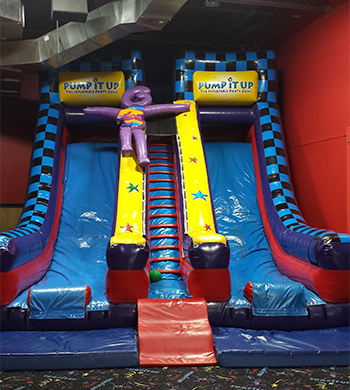 This fun ride is for thrill seekers to jump and joust! Either way you choose –let the fun begin! Our Octagon is a hit with kids of all ages (including dads), there are tons of soft balls and glow in the dark balls to play dodge ball. Arena B is loaded with Black Lights, Fx Lights and Lasers that all work with the beat of the music. 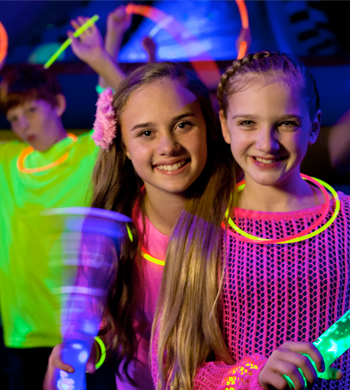 Our Glow Parties include the lighting and the kids get Glow necklaces. 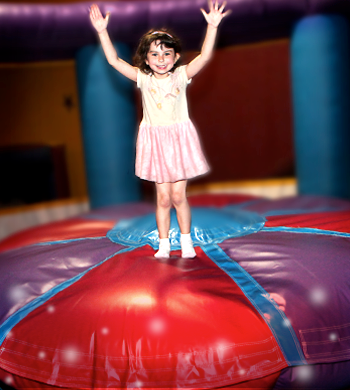 Glow changes an ordinary Bounce Party into a super cool, imaginations run wild, catch me if you can party! Check out Glow Video in the Pin Boxes at the bottom of the page. 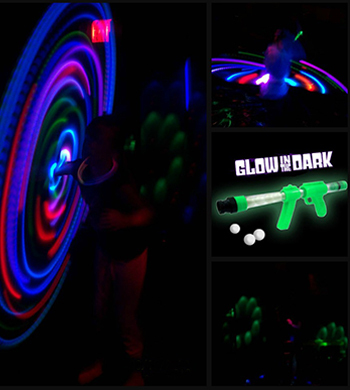 Digital Hula Hoops, Glow Guns, Karaoke can be added to any Deluxe Party. 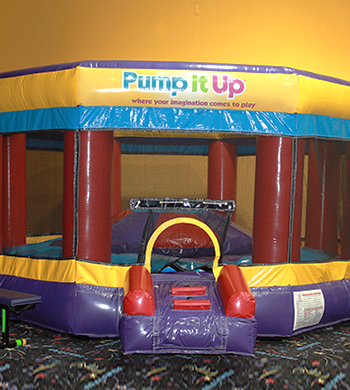 Call and ask one of Pump It Up Party Planners for details. 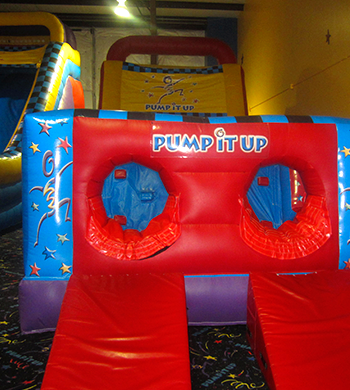 Call 813-854-2222 and we can help cusomize your Pump It Up Party!